Istituto Scientia offers the world Natural Stress Relief©, a lower-cost alternative to Transcendental Meditation® and Deepak Chopra’s Primordial Sound®. We invite you to compare the costs of these services. All three are simple mantra meditation methods with no breath-control. (Trademarks). of the TM® or Transcendental Meditation® program..." (full text at the end of this page). Scientific research has shown that the most beneficial meditation is Maharishi's Transcendental Meditation® (TM®). The striking reduction of stress and anxiety caused by TM is 3 to 4 times greater than that achieved by most meditation or relaxation methods (trademark disclaimer). The first articles about the good effects of TM were published around 1970 in important magazines and scientific journals, including Science, American Journal of Physiology, Scientific American (read more). In 1995 Dr. Deepak Chopra created the Primordial Sound® meditation, which is a simple mantra meditation method with no breath control. Unfortunately Chopra's technique is quite expensive (US$375.00) and the cost of TM is prohibitive (US$1500.00, temporarily reduced to US$960.00). In 2003 a former TM teacher created the inexpensive Natural Stress Relief© home-course that is available on this website for US$25.00 (or the equivalent in other currencies). The Natural Stress Relief technique (NSR) is based on a single basic syllable or "mantra", that is suitable for anybody. How effective is the Natural Stress Relief technique? Several testimonials show that NSR is very effective and beneficial: practitioners report a remarkable reduction of stress and anxiety. Scientific research shows the effectiveness of Natural Stress Relief, including peer-reviewed articles in the Scopus-ranked journals Psychological Reports and Social Behavior and Personality (read more). The Natural Stress Relief technique can be learned at home for US$25: instant download (text file + audio file). 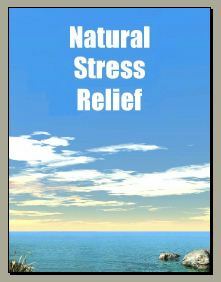 Since 2006: Natural Stress Relief on Hardcopy Manual + CD at US$47 (with email support) by NSR/USA. Warning: you will not receive personal training on NSR, so you need to rely on your own discipline to learn the technique. Instant download for $25.00 (or equivalent in other currencies): text file + audio file. The Maharishi Foundation demands that we display in our web materials the following disclaimer. We agree to do so as a courtesy, even though the content of such disclaimer, in our opinion, is obvious and superfluous. "Please be advised that the instruction provided you by our organization does not consist of the TM® or Transcendental Meditation® program. Should you wish to receive such TM® program instruction, you must contact an authorized TM® program center. For information concerning such centers please see the website www.tm.org. Our organization is not affiliated with the sponsors of that website and we are not authorized to teach the TM® or Transcendental Meditation® program or any other programs founded by Maharishi Mahesh Yogi". Legal issues: read more.